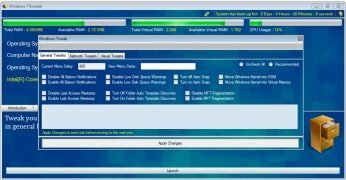 There's nothing better to optimize Windows than downloading a tool like Windows 7 Booster, that includes all the modules you need to make your operating system work better. Bring your PC back to life. Lightweight application that runs without installing. Optimizes the performance of Windows. Windows Tweaks. Improve the operating system's response applying simple settings. Windows Services. Disable the Windows services you don't use. Context Editor. Delete or create your own shortcuts in the context menus. Net Speed Test. Put your internet connection's speed to the test. 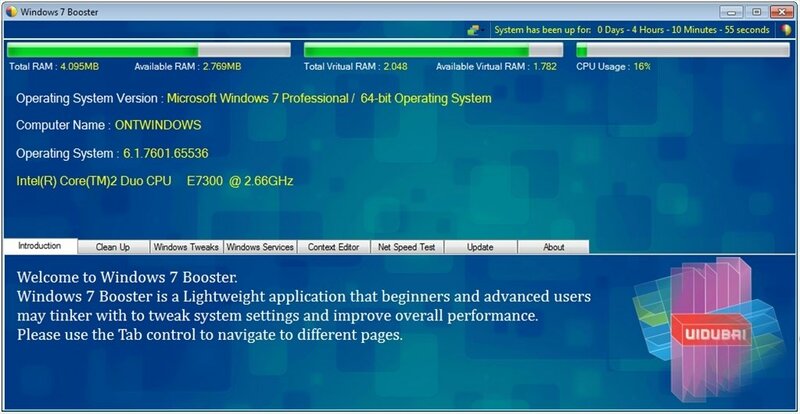 If you want to make the most of your PC's performance and extend its useful life, download Windows 7 Booster for free.